A great melody with interesting twists and turns. These two arrangements ("For Sure!" and "Manhattan") have both subtle and major differences—try each for yourself! Kenny Drew's piano rhythmic comping is available, so you can compare how he builds rhythmic energy under the melody of both arrangements. Art Farmer solo transcriptions for three recordings—investigate his creativity under different situations. Listening to our audio excerpt you'll hear that Kenny first heard this composition at an aggressive medium up swing tempo. Three years later (click the second album cover), trumpeter Art Farmer wanted it slower when Kenny recorded it him. It's an ABAC format composition that swings hard from beginning to end. There are lots of energetic lines in this great melody that require a flexible piano comping approach to keep everything poppin'. Check out our Piano Corner and the rhythmic comping edition comments. In 1978, Kenny Drew was still spending most of the time in his new adopted home of Copenhagen, Denmark. He did, however, get to Los Angeles in October of that year to record for Xanadu Records, a trio album done October 15th that preceded our quintet album by one day. These sessions brought Kenny back in touch with his old buddy, bassist Leroy Vinnegar. Kenny had recorded with Leroy in 1955 and 1956. They also gave him the opportunity to record with one of the West Coast's finest drummers, Frank Butler. Piano rhythmic comping edition: Kenny Drew is a master at comping. Comping for an energetic melody can certainly be approached in different ways, but supplying energy for the melodic line without overpowering the melody is of primary importance. Our "Piano Rhythmic Comping" edition shows the rhythmic variety of Kenny's comping under the in and out melodies of both arrangements. The arrangements were recorded at two different tempos (168 bpm vs. 200 bpm) so Kenny naturally treats them differently. This second arrangement, which is a little slower than Kenny's first recording, makes room for some subtle changes in melodic rhythm phrasing. Compare measure three of the A section and measures three and four of the B section of both recordings. Also, measure four of B harmonically changes to a flat 9 (the second horn note) as opposed to the regular 9 in the earlier arrangement. With the first measure of C being exactly the same as the first measure of B, what could have been an ABAB format composition is deliciously altered for a whole new C section melody. Each arrangement also has a unique coda. Three Art Farmer solos on this song are available, showing the various ways he approached these chord changes. Click on the Solos tab for commentary and audio clip on this version from the "Manhattan" recording. Kenny Drew and Art Farmer first recorded together on Art Farmer's 1956 Prestige album "Farmer's Market," which included Art's second recording of his compositionFarmer's Market. It had become a hit when he first recorded it four years earlier with Wardell Gray. Art always liked Kenny Drew's compositions, see Blue Wail, for example. on the "Manhattan" album. Both Blue Wail and Context became part of Art's permanent repertoire, and you can see two Art Farmer video performances of Context here (click albums covers 3 & 4 above). Art Farmer Transcribed Trumpet Solo Trumpet Solo from the "Manhattan" album. On this studio version trumpet Art plays two choruses. His rhythms are more varied in this solo than in the other two, freely mixing 8th-note and 16th-note lines with slower melodic passages. Piano rhythmic comping edition: Kenny Drew is a master at comping. Comping for an energetic melody can certainly be approached in different ways, but supplying energy for the melodic line without overpowering the melody is of primary importance. Our "Piano Rhythmic Comping" edition shows the rhythmic variety of Kenny's comping under the in and out melodies of both arrangements. The arrangements were recorded at two different tempos (168 / 200) so Kenny naturally treats them differently. Lead sheets, second parts, condensed scores and piano comping parts for two recordings, Kenny Drew's version on "For Sure!" and Art Farmer's version on "Manhattan" are available under the respective album covers. Click the Solos tab for audio clip and comments for Art Farmer's trumpet solo from this live recording. This was filmed in East Berlin in 1983. The pianist is Fritz Pauer, one of Art's favorite pianists and a frequent collaborator during Art's stays in Europe. Art introduced Fritz and his music to Second Floor Music, so we're able to bring it to your attention on jazzleadsheets.com. 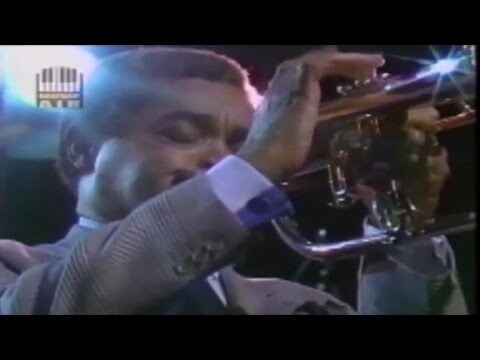 Art Farmer Transcribed Trumpet Solo This live version is considerably faster than on the "Manhattan" album from two years earlier. As a result, Art, who takes three choruses, does not play as many 16th-note lines. He waits until the second chorus CLIP to introduce the 16th-note-based time feel. Drummer Juris Dudli really propels the time and gives Art a lot to work with. This live version featured Art Farmer playing with tenor saxophonist Clifford Jordan, a very engaging and dynamic soloist. Art's solo is available (click the Solos tab for details and a clip). Saxophonist/composer Clifford Jordan and Art Farmer started recording together in 1957, with the release of Clifford's "Cliff Craft" on the Blue Note label. Clifford played on a total of eight Art Farmer albums. In the year of this live performance, 1989, pianist James Williams joined Art and Clifford for Art's "Ph. D" album. The album featured several James Williams compositions as well as Kenny Drew's Blue Wail. 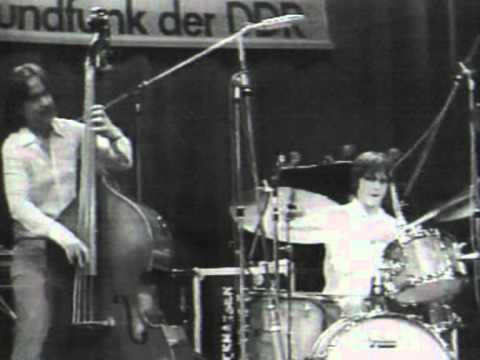 Art Farmer Transcribed Trumpet Solo Six years after the live East Berlin recording, this version with an all-star quintet is about the same tempo. Art does not play any 16th-note runs in his two-chorus solo CLIP. In fact, his lines and phrasing recall more his earlier style, as heard on classic recordings such as Sonny Clark's "Cool Struttin'." At these tempos and faster, Art generally played on top of the beat and articulated his 8th notes rather short and almost straight. This and his mellow timbre are the essential details of his unique sound.